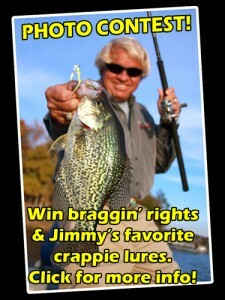 The first crappie of the day is significant because there are always more in the same spot. Ice fishing has changed considerably from the first time I drilled a hole over 35 years ago. I never had the opportunity to ice fish during my youth. Then one boring winter day in 1980 a fishing buddy suggested we try ice fishing for panfish. He had purchased the basic equipment (manual auger, toy-like ice rods with plastic spool reels, and a handful of tiny ice dot lures); I went along to keep him company. Quality ice sonar, such as one form MarCum, is completely portable. The display shows bottom composition and fish via varied colored lines. Arriving at a small lake, we gravitated to the area with the greatest number of anglers. We drilled two holes, tipped each ice jig with a live maggot, stripped line from the plastic spools and watched the baits sink slowly into the dark water. Propping the rods up on a mound of frozen ice beside each hole, we each sat down on a folding campstool and waited…and waited…and waited. Other than adjusting the depth of the bait occasionally, we really didn’t know what to do except wait for a bite. Observing other nearby anglers sitting around holes in the ice, waiting and watching the spring bobber for any movement seemed to be the strategy. Oh, what an exciting day on the ice…NOT! Fast-forward several decades. With intense coaxing, FLW bass pro Dave Lefebre persuades me to go ice fishing with him. Over the past twenty years, I had frequently fished with Lefebre during the open water season. Although I knew he loved to fish for crappies whenever he had down time from the pro bass tour, I did not know his intense passion for ice fishing until he was named to Rapala’s Ice Force Team. A quality power auger is a necessary piece of equipment. During open water season, Dave never stays in any one spot for very long if he does not get bit. Like most bass anglers, his goal is to move around in order to develop a pattern as quickly as possible and then try to repeat it in similar areas of the lakes. I discovered he transfers that same open water run-and-gun energy to his ice fishing. Here is his strategy. 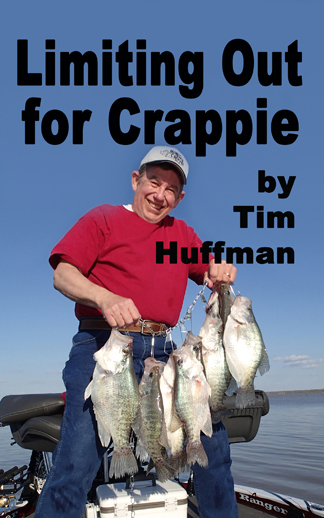 “Ice fishing for crappies is not unlike open-water fishing. The fish you seek have the entire lake to move through. They can literally be anywhere,” explains Lefebre. “During open-water season, you have a boat to move around and find them. But during ice season, you’ve got to move around and drill holes in the ice in order to find fish. In a central location near possible fish locations, Lefebre sets up his Otter ice shelter as home base – a place to rest and warm up. But he does not sit and in the hut. Instead, he grabs his auger, ice sonar, one rod, handful of tiny ice jigs and sets out to methodically check the possibilities. He plays the same strategy on larger reservoirs as he does on smaller lakes. 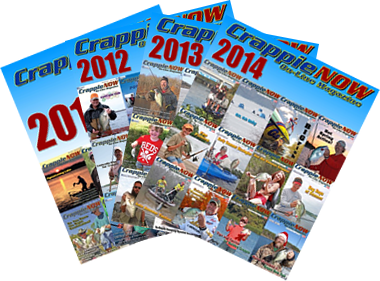 Unless he has very specific information from a reliable source when he visits a big impoundment for the first time each season, he goes through the shallow-to-deep routine while checking a variety of cover/structure in order to find reservoir crappies. 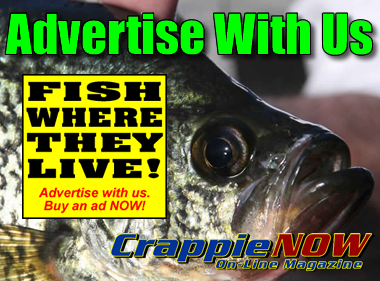 Dave explains that crappie schools usually settle into a home area by mid-winter. Often these areas also produce very nice bluegills or yellow perch. Once that area is identified, it makes sense to concentrate your fishing effort within that sector. Once he has established the mid- to late-winter location of a crappie school, Lefebre drills a series of holes based on key details he knows about the specific area of a familiar lake – such as a large stump, a brushpile, rock pile, certain type of weed growth, or secondary drop. This information has been stored on his portable GPS, having gathered it during the open-water season while cruising in his boat. When crappies stop biting in one hole, he begins checking other holes to find the active bite.